Amazon's Alexa Fund and the Google Assistant Investment Program have both poured money into the LA-based hands-free patient assistant tool. 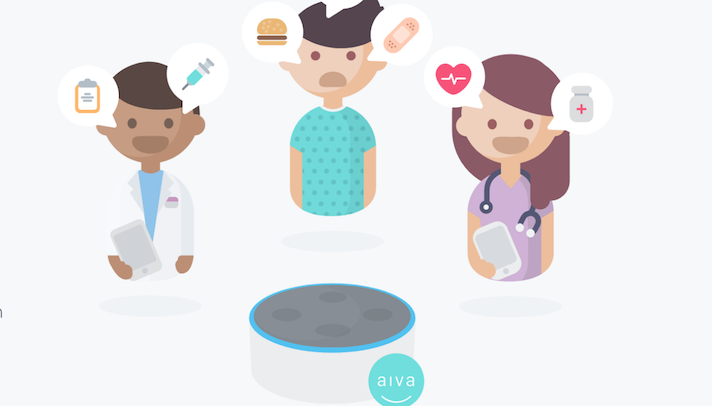 Last week two venture branches of Silicon Valley’s biggest names, Amazon’s Alexa Fund and the Google Assistant Investment Program, announced investments in patient voice assistant Aiva, which specializes in hands-free communication between patients and caregivers. While the investment amounts have not be publicly announced, the company revealed its other investors include Act One Ventures, Mucker Capital, Techstars and the Cedars-Sinai Accelerator Powered by Techstars. The Aiva system is designed to let patients chose entertainment, educational information and set reminders. Patients also have the ability to request certain services. If a patient requests something more complicated, then it can then intelligently triage the mobile device and link them to the appropriate care provider. The technology also includes an app for caregivers, so that when a patient requests help or a meal they can get a notification right on their phone. The system currently uses both Google Home and Amazon Echo, as well as other speakers. Originally, it was designed for inpatient care facilities, but now has expanded to physicians officers, skilled nursing facilities and in the home. For the last few years, all eyes have been on the mainstream consumer tech industry's push into healthcare. In May, leaked documents obtained by CNBC suggested that Amazon was building a “health & wellness” team within its Alexa voice assistant division. Amazon’s Alexa is already being used in a number of healthcare-related ways. For example, back in September the company announced that basic health information and advice provided by the Mayo Clinic would be available on the Amazon Alexa. On Thursday Aiva was named one of three companies that the Alexa Fund announced it would be funding. The other companies included an educational platform and a personal adaptive tool. While this is the first time Google Assistant Investment Program has invested in healthcare, Google has been dipping its toes into the area for a long time. GV (previously called Google Ventures) has been investing in healthcare technology on the regular. Notably, the investment branch led a $30 million funding round for teleopthalmology company Verana Health in July. Aiva has caught the attention of other big names in the healthcare industry before. Last year the startup was named one of 10 startups in Cedars-Sinai third class.